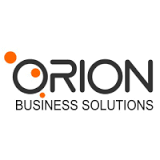 Orion is a product development and a venture technology firm. Our focus is on developing innovative B2B products and helping other entrepreneurs with their endeavours. We also provide Technology Consulting services but we are not like a typical outsourced IT company focused only on delivering codebase, which is just the tip of the iceberg. There are hidden parts of the product engineering crucial to a successful commercialization of an idea. We strive to help our clients on multiple stages of product development processes, starting from concept creation and all the way through post-production sustenance.